LOCKPORT, NEW YORK — As they met at The Shamus, a favorite local lunch spot, on a September day a year ago, Niagara County officials considered some good news. Thanks to low interest rates, they might be able to refinance a big chunk of Niagara&apos;s tobacco bonds—debts payable from the county&apos;s share of a massive 1998 legal settlement with Big Tobacco. Eager to lower costs by replacing the bonds with less-expensive debt, they decided to move ahead. As a bonus, they figured the county could raise some new money for projects like fixing up Niagara&apos;s jail. But when details of the transaction became public last month, the biggest winner wasn&apos;t Niagara County, which received $2 million from the deal, but investors of Oppenheimer Funds, a large mutual fund manager that held deeply distressed Niagara tobacco bonds that were last in line for repayment. Oppenheimer investors got $6.9 million for the bonds, which had been expected to default. That&apos;s more than triple the county&apos;s take and $5.1 million more than the value Oppenheimer carried on its books, according to data from Morningstar, which tracks mutual fund holdings. By June 2013, with Niagara&apos;s CABs accumulating more interest and cigarette sales continuing to decline, repaying the debt had become mathematically impossible. Why did the last-in-line investors get a $5.1 million windfall while the county got a mere $2 million? 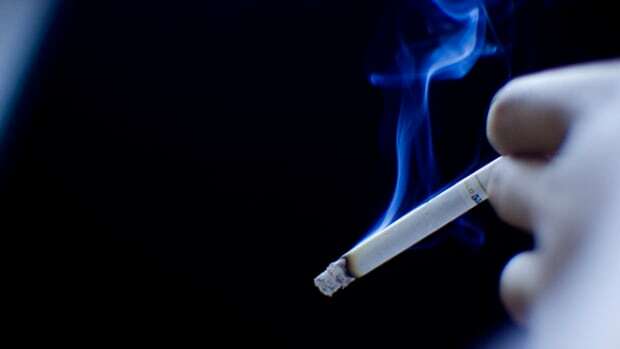 The answer lies in the shifting world of tobacco bonds, where big investors are pressing governments like Niagara to bail out bets that have turned bad, owing to a drop in smoking and a parallel decline in the settlement payments that underpin the bonds. ProPublica reported earlier how states, territories, and counties have exposed themselves to $64 billion in tobacco debt by selling $3 billion in high-risk securities called capital appreciation bonds, or CABs, as part of "securitization" deals that mortgaged their annual tobacco payments for immediate cash. The CABs are particularly toxic because no payments are required until the bonds mature, usually in 40 or 50 years. In the meantime, they pile up huge sums of interest owed—so much that Niagara and several other counties were told last year that some of their CABs would never pay off. Niagara is the first county to engineer a bailout. In March, New Jersey pledged $406 million from future tobacco settlement income to rescue CABs. Oppenheimer has sued to block a refinancing plan in Rhode Island, and New York&apos;s Chautauqua County is pursuing a $34 million deal similar to Niagara&apos;s.
Wall Street has taken to calling these deals "investor-led refinancings," a label that invites questions about who&apos;s getting the most benefit—taxpayers or bondholders. As Niagara&apos;s case demonstrates, money for the bailouts isn&apos;t free. It comes from new debt deals, like refinancings, or from future tobacco payments that otherwise would flow to the governments. That means taxpayers benefit less than they otherwise might, even when some upfront cash is thrown in. "The banker who sold this deal to Niagara should be canonized," said Sylvain Raynes, co-head of credit research firm R&R Consulting, who reviewed the transaction at ProPublica&apos;s request. Raynes was one of six experts who questioned the size of the payout to Oppenheimer given the firm&apos;s own low valuation of the bonds. Niagara&apos;s banker, Susan Schmelzer of the investment firm Raymond James, declined to comment. Oppenheimer also declined to comment or answer written questions. 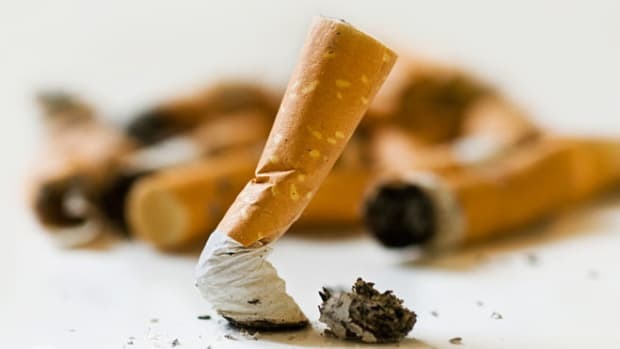 Deals like Niagara&apos;s also challenge a major selling point for tobacco securitizations, which in the years following the legal settlement were pitched as a type of insurance to protect taxpayers. The idea was that governments would secure money upfront while investors took the risk of payments shrinking over time. Bailouts flip the calculus. "There really wasn&apos;t any kind of a risk transfer," said Edward Grebeck, a Connecticut debt consultant. At the end of the day, he said, bondholders "are coming to the party to take money which you would think the taxpayers of Niagara County would be entitled to." Governments have no legal obligation to cut investors&apos; losses. The bonds are what&apos;s called "non-recourse" debt, meaning taxpayers aren&apos;t on the hook to repay them. Bondholders are owed money only from the settlement, which is supposed to flow in perpetuity and so far has paid out $101 billion. So to get governments to come to the table, investors have offered upfront cash in trade for a rescue. 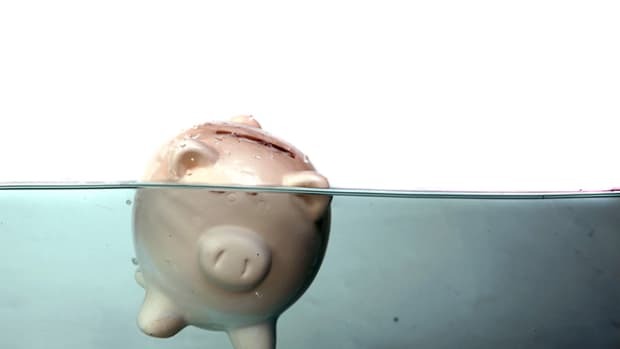 The deals are coming because large bond holders "are looking to work their way out of the situation," Timothy Milway, a municipal credit analyst with BlackRock investments, said at a recent conference. "I applaud their creativity and being able to work their way out of a desperate position." Niagara&apos;s deal, however, left in place three other tranches of CABs. And while the county secured lower interest rates on the bonds it refinanced, the balance rose by $5.6 million to $44.3 million. To broadly gauge the merits of securitizing, ProPublica analyzed data on historic and projected tobacco payments for New York City and the 35 New York counties that borrowed against the settlement. Within the next few years, most would have received more in cumulative annual payments than they did by securitizing. Instead, they&apos;ll continue paying a premium to bondholders for another two decades or longer. Defending their recent deal, a Niagara official cited the need to make good on promises to lenders. "We feel we have an obligation in good faith as a county to repay any bonds that we get involved with," said Clyde Burmaster, a county legislator who heads a board that oversees Niagara&apos;s tobacco borrowings. "I think the county&apos;s credit and integrity is at stake." But Burmaster also acknowledged that Niagara had little negotiating leverage. Terms of the CABs gave Oppenheimer the legal grounds to object to any refinancing it didn&apos;t like. Faced with the choice of getting nothing or bailing out Oppenheimer and pocketing a little cash, officials chose the latter. "Something&apos;s better than nothing," Burmaster shrugged. New York counties began mulling securitization in 1999, after the state agreed to share its take from the tobacco settlement to help them offset smoking-related Medicaid costs. At the time, the tobacco windfall was estimated to provide $25 billion to New York in its first 25 years of payments. "It was a historical infusion of cash that was a once-in-a-lifetime opportunity for these local governments," said Stephen Acquario, executive director of the New York State Association of Counties, or NYSAC. "They had never seen that in hundreds of years of existence, and they haven&apos;t seen it since." Although the payments were to be made in perpetuity, there was some uncertainty about how much they would deliver. The amount was to be adjusted upward each year for inflation, but it was also tied to cigarette sales. If people quit smoking, annual payments eventually could decline. To help counties offload the risk of falling payments, NYSAC sponsored securitization "symposiums," where local officials could meet tobacco bankers and lawyers. Starting in 2000, NYSAC also sponsored pooled deals in which counties could band together to issue tobacco bonds. The association raked in "facilitator" payments that could top $50,000 per county, fee disclosures show. Acquario said NYSAC did not encourage counties to securitize, however. "If they had a need, they did it," he said. "If they didn&apos;t have a need, they didn&apos;t do it." In Niagara, William Ross, a longtime lawmaker who today chairs the county&apos;s legislative body, initially leaned toward accepting annual payments rather than securitizing. But the county jail changed his mind. During the 1990s, Niagara&apos;s total debt had tripled to nearly $84 million, in large part because of a 1996 bond sale for a jail expansion. Ross and other county lawmakers figured a one-time infusion of cash could help pay down these old debts and save taxpayers money. So in August 2000, the legislature created a special corporation to sell tobacco bonds. The spinoff was designed to insulate taxpayers from any obligation to repay if the settlement payments fell short. The law approving the deal made little mention of transferring risk to investors. Instead, lawmakers stated that their goal was to "secure to present generations" the benefit of future tobacco payments. The corporation&apos;s first tobacco bond sale raised $48 million that October, before fees and reserves. The bonds paid interest at regular intervals, with rates ranging from five percent to 6.75 percent. Niagara set aside $23 million to pay down its jail bonds, on which it owed and 5.2 percent interest, and other taxpayer-backed debts. "That took it right off the backs of the property taxpayers of Niagara County," Ross said in an interview in the upstairs dining room of The Shamus, where Niagara&apos;s tobacco corporation typically holds its board meetings. Members of the public rarely attend. Another $19 million was saved to pay for infrastructure projects befitting the long life of the tobacco bonds, some of which weren&apos;t due for 40 years. But eventually, much of this money found its way into small, short-term expenses like equipment purchases, computers, video conferencing equipment, and boiler room repairs, spending resolutions show. None went to smoking prevention, as framers of the 1998 tobacco settlement had hoped, or to smoking-related health care costs in the county&apos;s Medicaid program. By mid-2003, Niagara&apos;s $19 million projects fund was running low. But the county could still count on some more money coming in from the settlement. 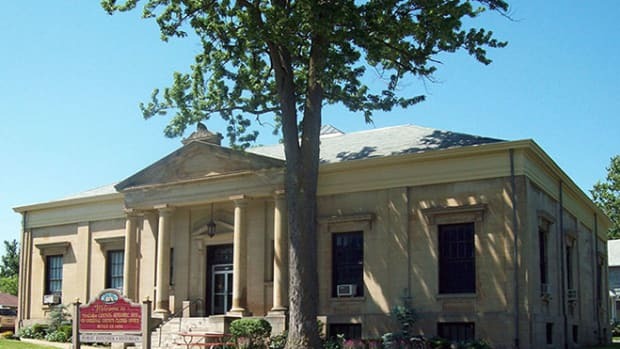 Although all of Niagara&apos;s settlement money was pledged to repay the initial round of bonds, the deal allowed the county to keep any leftovers once annual debt payments were made. About $1 million of these "residual" funds had rolled in each year during 2002 and 2003. Then, the tobacco bonds&apos; fine print kicked in. In June 2003, the Moody&apos;s credit rating agency downgraded the debt of R.J. Reynolds Tobacco Holdings, owner of the second-biggest U.S. cigarette manufacturer and one of the companies contributing to the settlement. The move was a non-event for New York counties that hadn&apos;t securitized. But for those that did, it triggered a "trapping event." Under this investor-friendly clause, residual money now had to be automatically set aside to protect bondholders—"trapped"—until a year after R.J. Reynolds was upgraded. Thanks to the pooled arrangements by NYSAC, more than a dozen counties were hit. The risk of evaporating payments that bankers had warned about had arrived—except now the cause was securitization itself. The solution? Borrow even more. In late 2005, the NYSAC sponsored another of its pooled transactions. 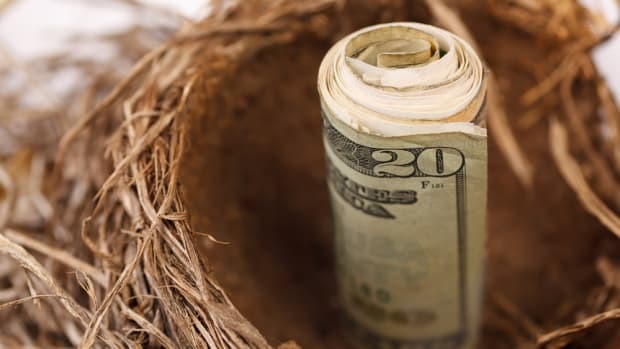 The goal of "NYCTT V," as it was called, was to help willing counties raise a little bit more upfront cash by negotiating the release of the trapped funds and allowing them to be securitized. 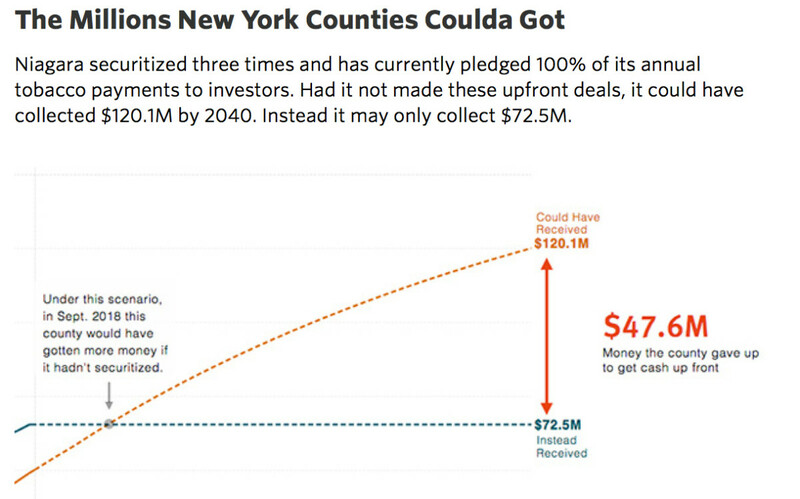 "County receives payment today rather than future uncertain residual payments," Edward Flynn, the lead investment banker behind NYSAC&apos;s pooled deals, wrote in a September 2005 pitch book outlining the proposed transaction. Unlike the early tobacco securitizations, however, NYCTT V would be an all-CAB deal. With the counties&apos; tobacco payments already securitized for terms of up to 42 years, CABs would allow counties to get more money upfront and not have to pay bondholders anything for as long as 55 years. The trade-off was higher interest rates befitting the risk and steep discounts for the upfront cash—three cents for every $1 to be repaid. While taxpayers were not liable for repayment, investors would retain rights to any county tobacco revenues until the CABs were paid off—however long that might take. "I wasn&apos;t too keen on it at first because we are going to lose a lot of money," said Dennis Virtuoso, a Niagara County legislator who originally opposed the deal. Other concerns ultimately prevailed: "It was election time," Virtuoso said, "so everybody went for it because they didn&apos;t want to raise taxes." Plus, Virtuoso figured that once the debt was paid off, the tobacco payments would return to the county treasury once again. Eventually, Niagara joined 23 other counties in the NYCTT V deal, which raised $199 million using four tranches of CABs, each with successively lower repayment rights than tranches above them. Niagara&apos;s cut, before fees, came to $17.8 million. Buried in Appendix G of the 416-page bond prospectus was the amount due at maturity: $6.8 billion, including $593 million for Niagara&apos;s bonds. The hefty payoff was made possible by interest rates that ranged from six to 7.85 percent for the riskiest CABs, due in 2060. The top rate was nearly double that for long-term, taxpayer-backed municipal debt at the time, according to Thomson Reuters data. A footnote in the bond offering contained a key assumption: If cigarette sales slipped by more than an average of 2.5 percent a year, the riskiest CABs "may never be repaid," the offering warned. No rating agency assigned them a grade—an indication of how speculative the debt was. Despite the risks, Oppenheimer Funds, the New York-based investment manager, scooped up most of the NYCTT V debt. The firm has long been known in the industry for chasing high-yield securities, which can help attract investors looking for better-than-average returns in some of its funds. The deal closed in November 2005. Counties received their cash, bankers collected $4.2 million in fees, and the clock began ticking on the billions promised to bondholders. It didn&apos;t take long for it to become apparent that Niagara&apos;s tobacco corporation was headed for trouble. In 2009, partly because of rising federal and state taxes, cigarette sales slid by 8.3 percent—far more than the 2.5 percent decline that was assumed in the CAB deal. In 2010, Niagara officials openly mulled the "possible future financial failure" of their tobacco corporation, meeting minutes show. 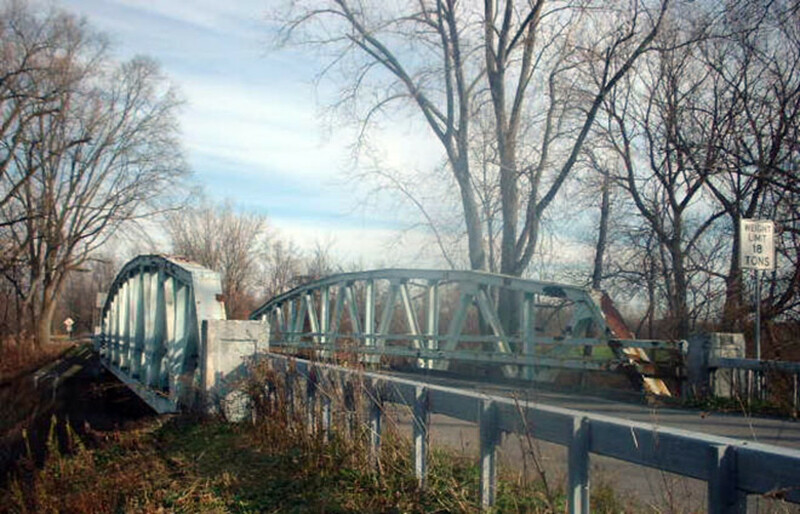 Were it to fail, they feared the debt would fall back on taxpayers, since "Niagara County was the benefactor of the funds," according to the minutes. By design, entities like Niagara&apos;s Tobacco Asset Securitization Corporation, or NTASC, are supposed to be independent bodies whose finances are separate from the counties. The idea is to distance taxpayers from any claim to repay the corporation&apos;s tobacco debt, but how that might hold up in court is unclear. "I think it&apos;s an open question as to what obligations the courts would ultimately find them having here, even though they did not issue the debt," said David Kidera, head of New York&apos;s Authorities Budget Office, which oversees entities like the NTASC. If cigarette sales slipped by more than an average of 2.5 percent a year, the riskiest CABs "may never be repaid," the offering warned. No rating agency assigned them a grade—an indication of how speculative the debt was. Burmaster, the county legislator who serves as the president of the NTASC board, acknowledged that the situation is muddled. "Even though we&apos;re a separate organization here as this NTASC, we&apos;re not being fooled, not trying to fool anybody by saying we don&apos;t have any connection with Niagara," he said. "We do. We do in fact. That&apos;s why we exist." That news was disclosed to counties during a webinar sponsored by NYSAC, in which Flynn—the banker who structured the NYCTT V deal—reported that eight of the participating counties might "never" see their CABs repay. "Because of the structure of the deal," Flynn divulged, "we don&apos;t anticipate that the tobacco receipts will be able to be returned." Two other counties might see CABs repay on a delayed schedule, in 2076 and 2087. That would divert tobacco income to bondholders for decades longer than hoped. Flynn and his investment banking firm, Jefferies Group, declined to comment. Acquario, NYSAC&apos;s executive director, said the webinar was held to inform counties about a possible refinancing opportunity for their "senior" tobacco bonds—those first in line for repayment. Thanks to lower interest rates, counties could save money on interest and pocket some savings for taxpayers. Niagara officials began exploring how to do just that when another little-appreciated aspect of the CABs got in the way. 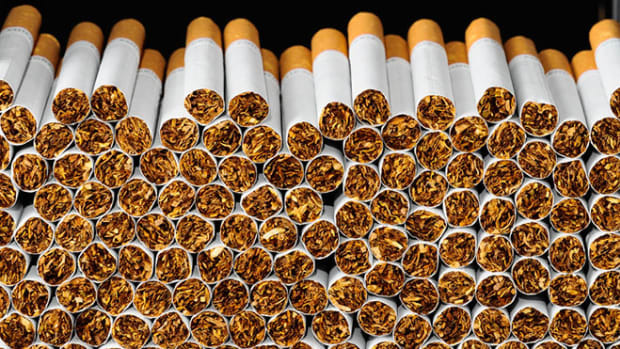 "Difficulties have arisen with objections being raised by Oppenheimer Funds regarding the refinancing," legal and financial advisers reported to the Niagara tobacco board at an April meeting. At issue was a standard protection afforded to owners of subordinate bonds like the counties&apos; CABs. Even though the CABs had a lower priority on repayment than bonds above them, bondholders had the right to object to any refinancing plan that diverted proceeds away from them and to the county. By proposing to capture some of refinancing proceeds—instead of letting all the cash cascade downward to the CABs—Niagara would need Oppenheimer&apos;s consent. At a June meeting at The Shamus, Niagara officials learned how little leverage they had. They could indeed capture some money from the refinancing, but the price would be to bail out some of Oppenheimer&apos;s CABs, according to the minutes of the meeting. They voted 5-1 to take the deal. Final terms emerged in September, with Niagara netting $2 million for county use. The NTASC paid $6.9 million to bail out Oppenheimer&apos;s riskiest CABs—the ones with the lowest chance of repayment. With interest owed, the CABs had accrued a repayment tab of about $13 million on paper, but Oppenheimer had valued them at $1.8 million on its books. Thus, the bailout helped Oppenheimer limit its losses on a debt so speculative that it might never repay what it promised. In an interview at The Shamus shortly before the deal closed, Burmaster said he didn&apos;t mind helping Oppenheimer. More important, he said, was to protect the county&apos;s "integrity" with creditors. "The first and primary reason for all of this is to make sure that we satisfy the obligation," he said. "I don&apos;t begrudge them making that money, or a little profit on it. Hell, that&apos;s what they&apos;re in business for." The sole "no" vote came from Karen Castle, a county employee who is also NTASC&apos;s secretary-treasurer. "We&apos;re making them whole, and it&apos;s to the benefit of Oppenheimer and only Oppenheimer as far as I can see," she said. Castle also noted the three other tranches of CABs that remain on the corporation&apos;s books. "Fifteen years from now," Castle said, "we&apos;ll be in the same predicament again." This post originally appeared on ProPublica as “How One New York County Fell Into the Tobacco Debt Trap” and is republished here under a Creative Commons license.